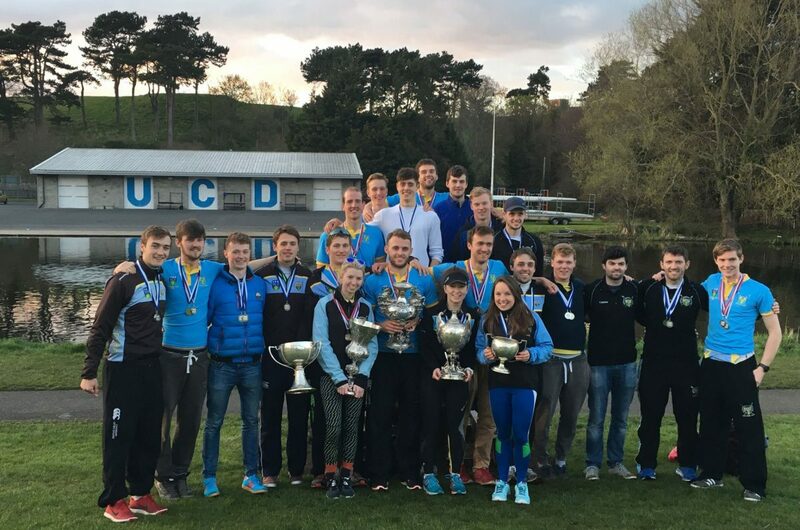 UCD had a very successful day’s racing at Trinity Regatta over the weekend, finishing top in eight events including Mens Senior 8+. 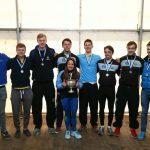 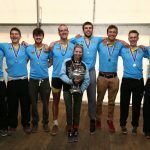 In the semifinal of Mens Senior 8+, UCD had their first opportunity of the season to race the Commercial Senior 8+ which had triumphed at Skibbereen Regatta a week earlier. 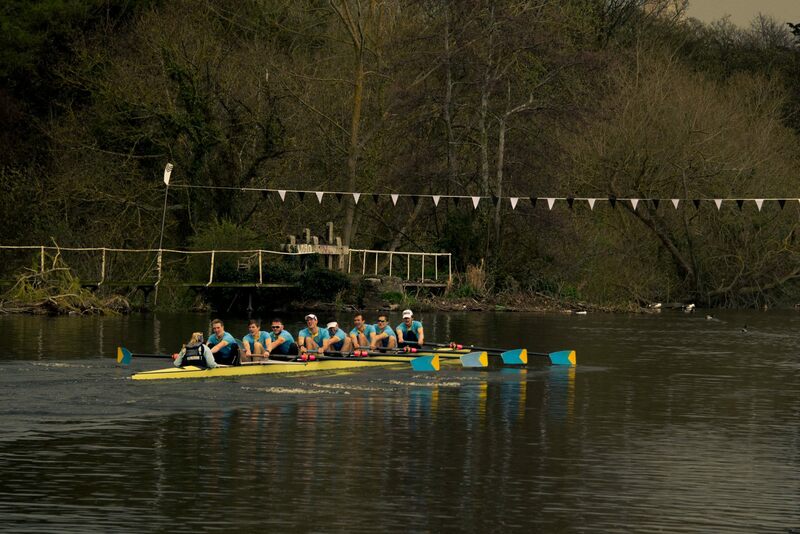 They raced well, moving out to a clear water lead and holding it with the final verdict given as 1 1/4 lengths. 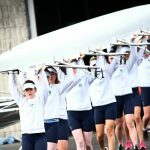 With Trinity winning the other semifinal, the final was another head-to-head meeting of these two crews, having faced off for the Gannon Cup last month. 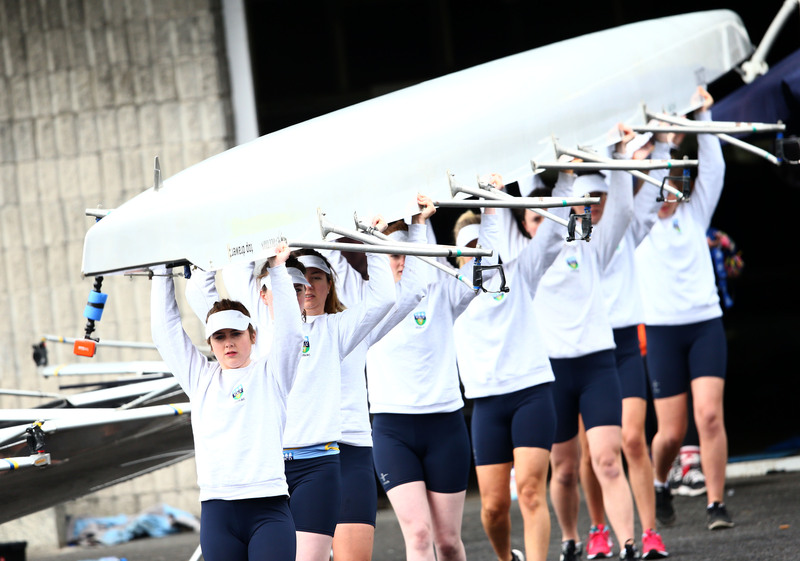 Again, UCD stormed out of the blocks and got an early lead. 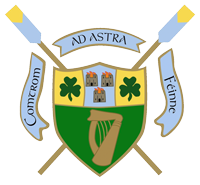 They held this advantage around the bend in Trinity’s favour and back on the straight were able to build on it. 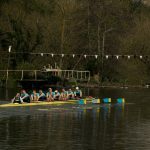 They continued to pull away for the rest of the race and finished 3 1/2 lengths clear of Trinity. 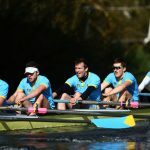 The final of the Men Senior 4+ was also a UCD v Trinity affair, although it was a fierce race with UCD getting a lead but never more than a length. 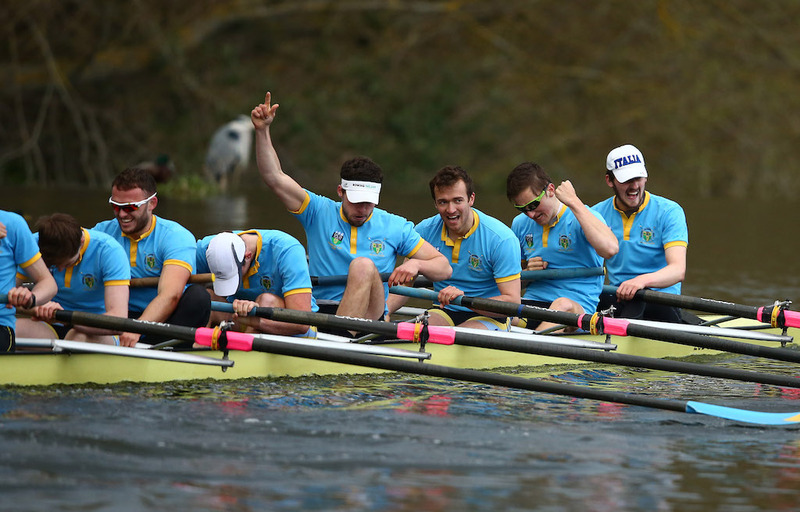 The two crews battled all the way down the course with UCD winning by 3/4 length. 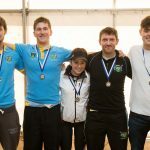 Mens Senior 2- again saw UCD v Trinity face off in the final. 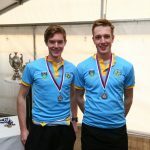 Earlier in the day, UCD had raced another Trinity pair in the semifinal but they were disqualified for steering in front of UCD after taking a narrow early lead. 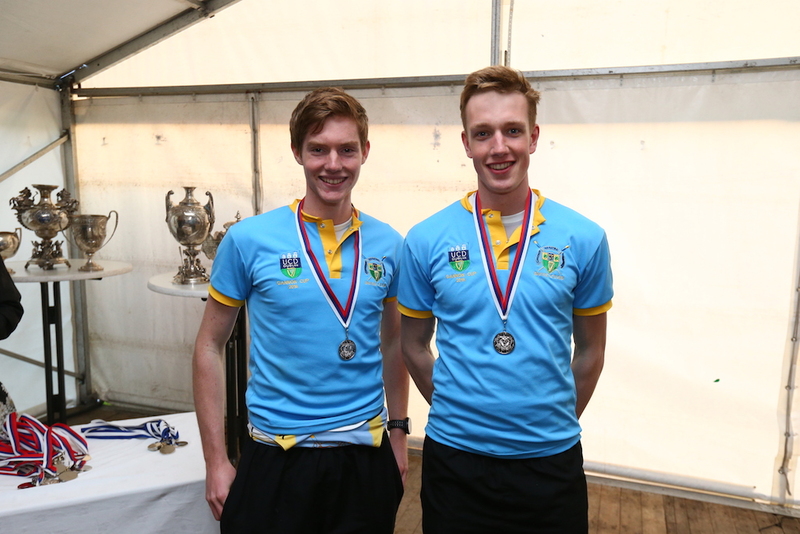 UCD’s David O’Malley and Shane Mulvaney took control of the final and finished well clear of Trinity. 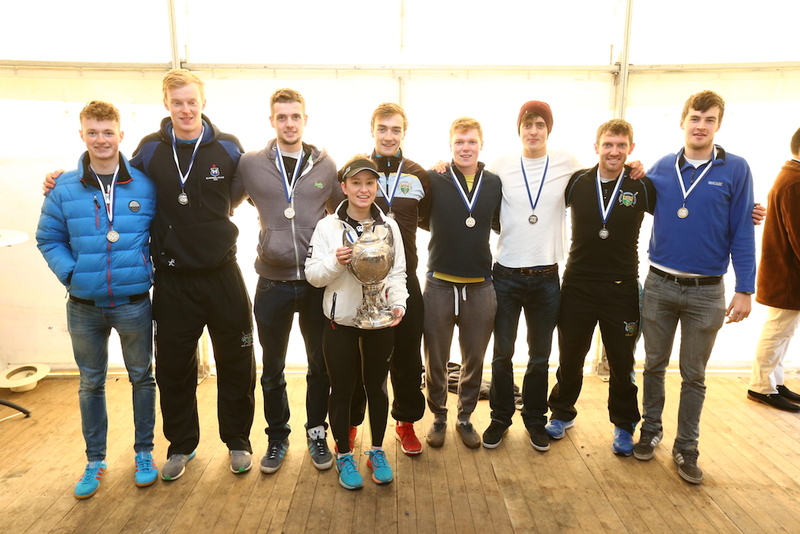 With other entries scratching, the Mens Intermediate 8+ was a straight final between UCD and Commercial. 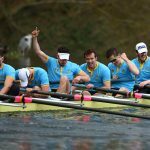 This was an excellent contest with the crews exchanging the lead as they took advantage of their corners. 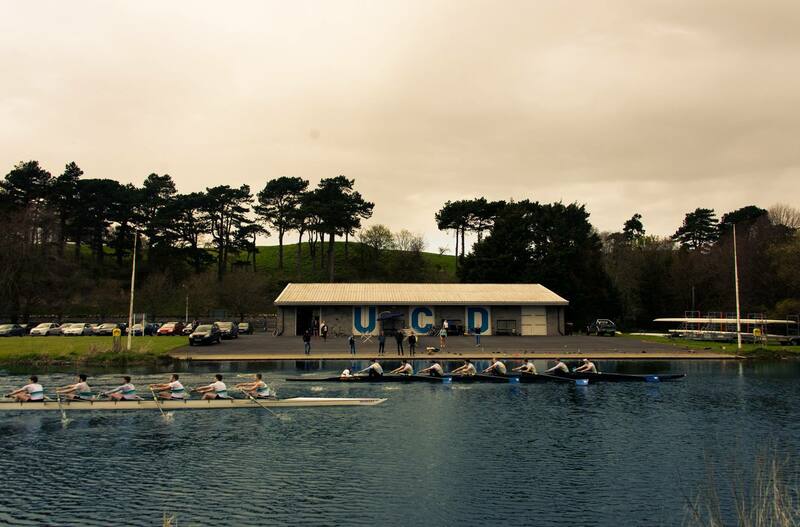 Commercial were 1/2 length up coming towards the Garda bend, which favoured UCD, and UCD took full advantage, moving into a 1/2 length lead of their own. 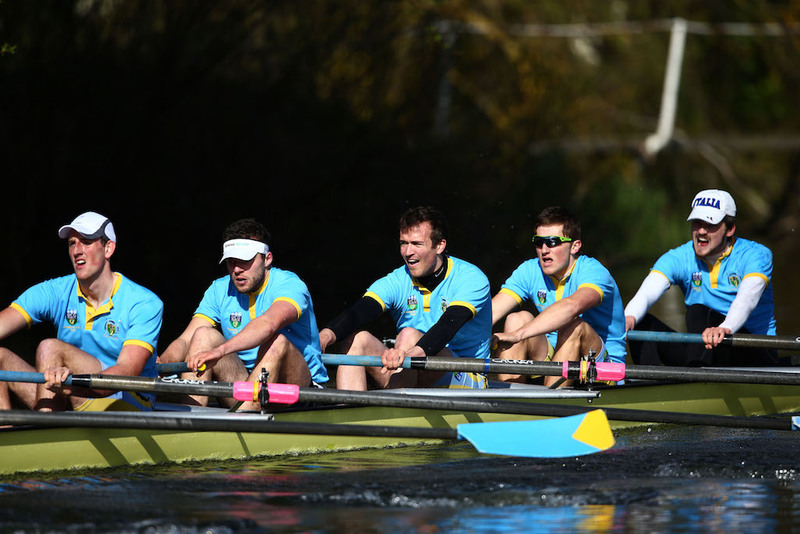 They edged out again over the final straight to finish 3/4 length ahead. 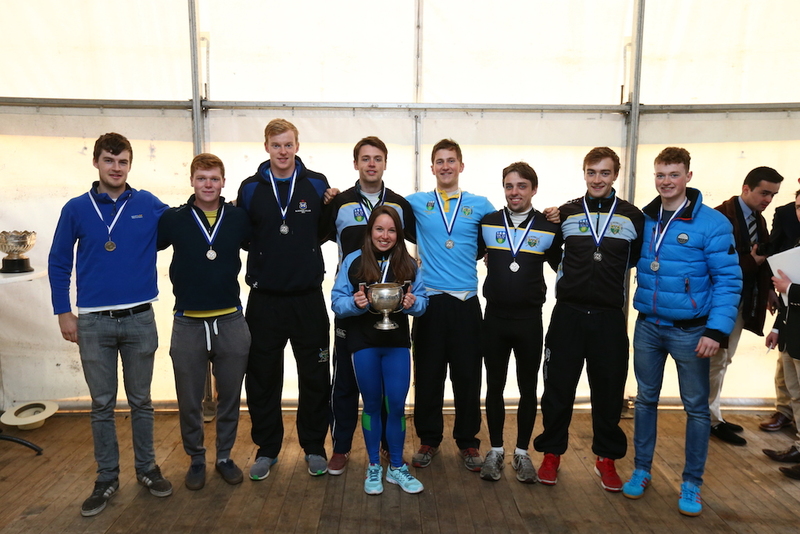 UCD beat Commercial en route to the final of the Mens Intermediate 4+, where they again faced Trinity. 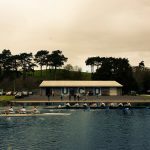 UCD took an early lead that they stretched out over the course of the race, winning by a distance. 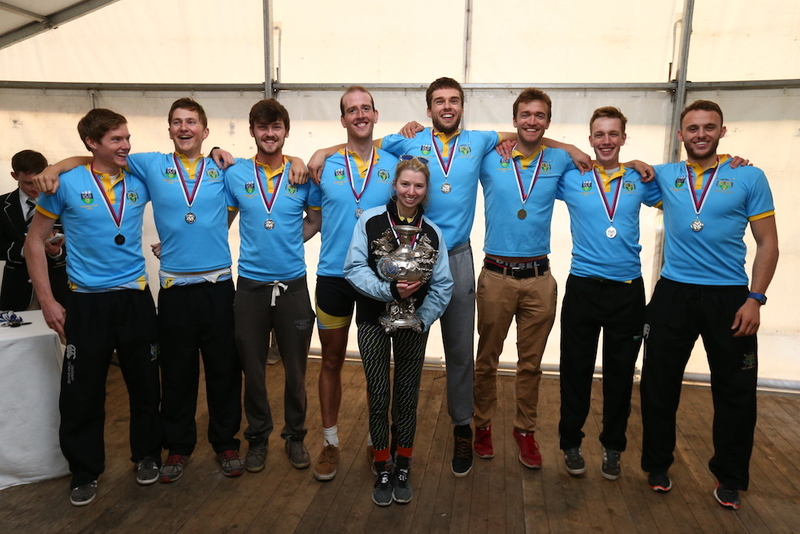 Mens Club 8+ saw UCD beating Commercial in the final by just under 2 lengths, while a series of scratches and timetable changes meant that the final of the Mens Club 4+ wasn’t raced. 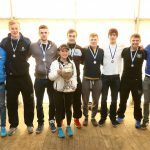 In the Mens Novice 8+ a strong Trinity crew got the better of UCD. 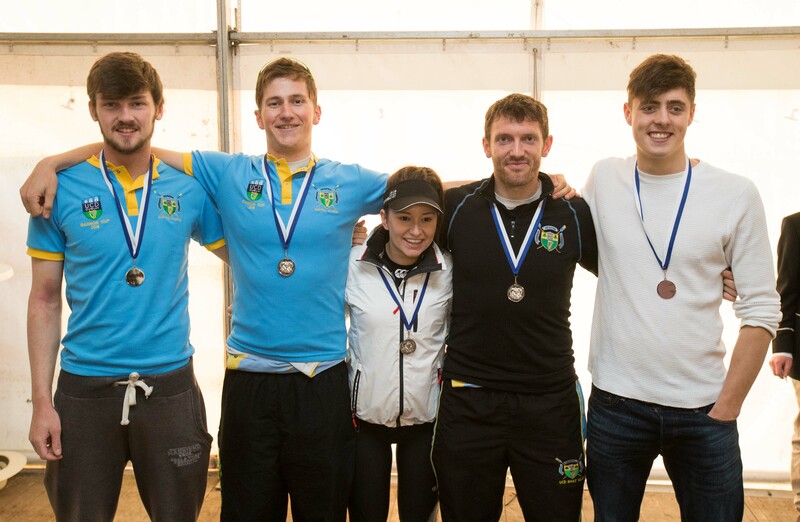 Our Novices continued their sculling development in the Mens Novice 4x+ but were beaten in the quarterfinals. 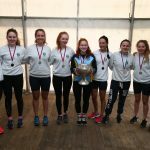 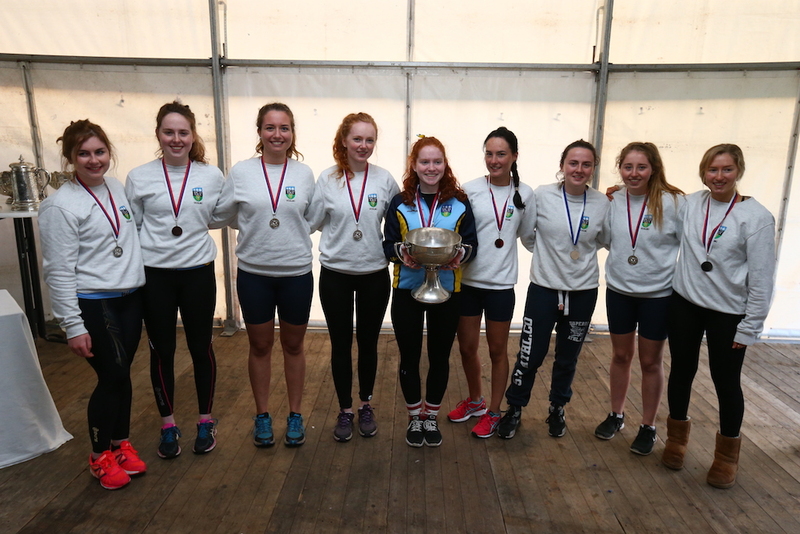 UCD Ladies Boat Club had good wins in the Womens Club 8+ and Womens Novice 8+ but their Senior 8+ was disqualified in the semifinal for clipping a buoy.